This project studies methodology of generating complex controlled transitional surfaces in the form of a set of primitive hand tools. The goal of this project is to design a pair of simple hand tools based on neolithic hand tool taxonomies. These tools will use specific visual language that will communicate their primary function, abilities, and movement. The semantics will also serve as a complimentary and formally unify the two pieces. The two pieces I have chosen to design was a hand axe and knife. Neolithic tools were designed for very specific uses and rarely were they multi-purpose tools. The form of should reflect the specific use of the tool. The directionality and cutting edge should be clearly visible so the user knows how to use the tool and where to place their hand to use the tool correctly.The focus of the project is not about styling, surface, adornment, or sparkles. It is a look at how people interpret visual forms and how visual languages set the stage for interactions. Careful attention is taken when designing the relationship of the tools with each other, the relationship of the tool and the silhouette defined by each form which speaks about the tool’s role. 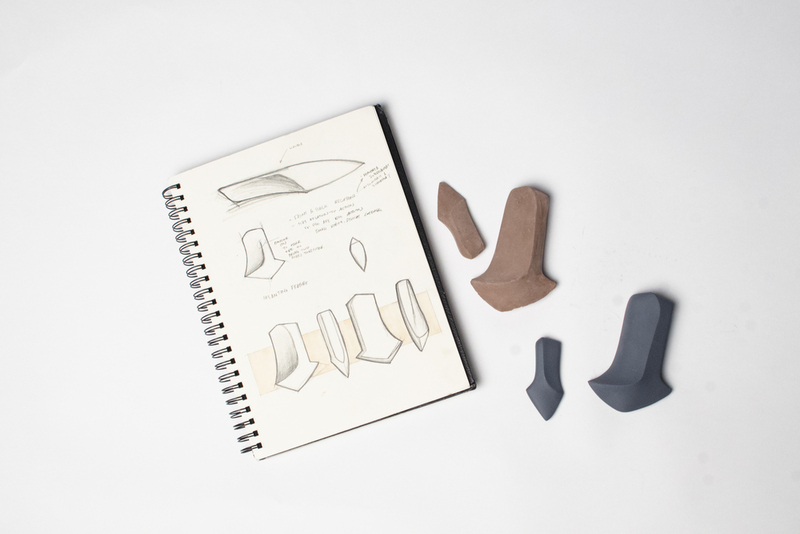 The process of creating the hand tool started with sketching and rendering. The use of rendering and advance orthographic to design the general shape of the tools. 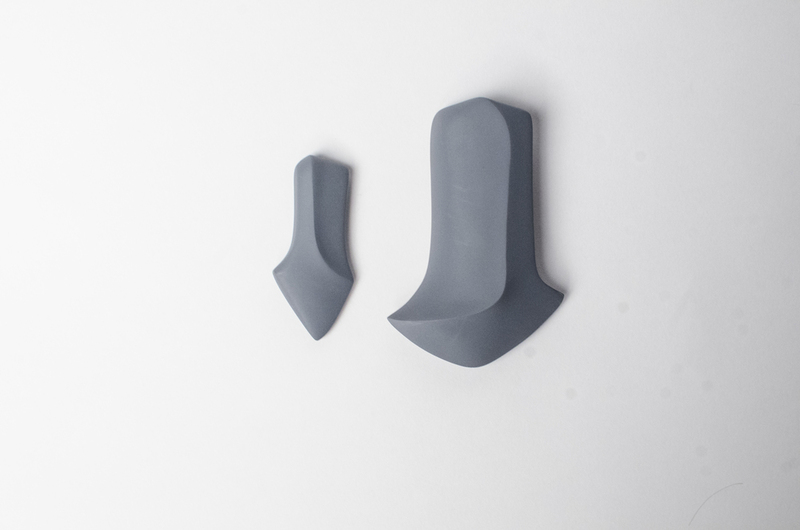 The tools were then prototyped in 3 dimensions with chavant clay. Then final models were created with high density foam and painted with flat gray. The final pair of tools where created with complimenting features. The similar chamfers that unify the two hand tools. The chamfers is also an ergonomic features giving the user a better hold of the tools.